Imagine a painting showing an ancient temple. There are tables overturned, and on the floor coins are scattered. There are unused animals for sacrifice heaped in one corner and what appears to be trinkets and souvenirs in another. Perhaps there are a few stunned Rabbis in the background scratching their heads and a couple of servants scrambling to clean up or collect what they could. You see the smallest outline of a man still chasing out the crowds in the background. Clouds of dust are caught in the light, and then your eye is caught by one of those beams of light and you see a few people in the back warily coming back in. Unlike the the other men, these newcomers are not looking at the chaos around them. No, their eyes are drawn to different points around the Temple. You can tell by the expressions on their faces that while this place is not new to them, they’ve never really looked around before. Then you see one lone person, perhaps an elderly woman as a mirror of what’s to come, kneeling on the dirty floor with tears in her eyes. She smiles in beautiful thankfulness as she’s able to, for the first time in years, enter the temple in peace and quiet and pray to God. 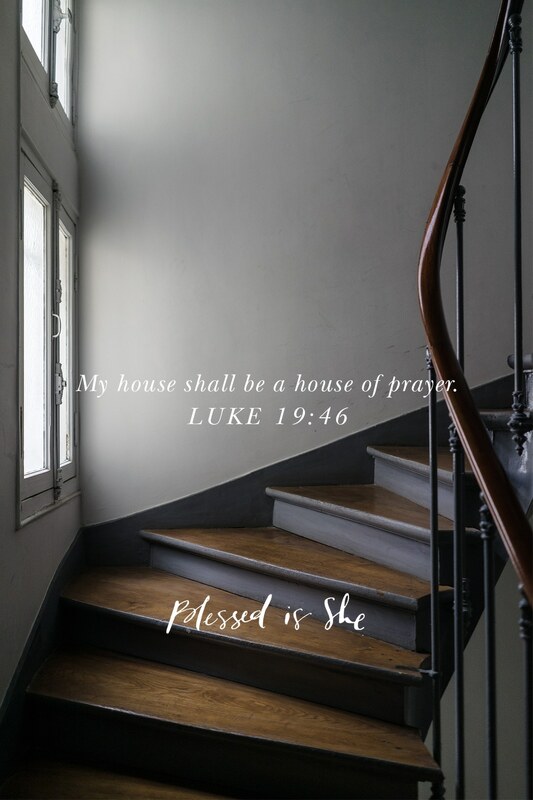 There are many paintings that depict the “Den of Thieves” moment in the Temple, but I would love a painting that depicts the first moments of the Temple as a House of Prayer, as I have described here. What a gift Jesus gives us in this declaration that the temple—the church—is not a place for business or politics, but a place of prayer and worship. (Luke 19:45-48) It is a place to bring us closer to God. When you go to Mass this weekend, take a moment to appreciate the Church Jesus reclaimed for us as a place of reverence and peace.